3 fairly ubiquitous ales plus a couple of less common ones. Good selection of food, very tasty and good service. Very warm on a warm day, and awkward sized tables for small groups, but definitely worth a visit en route between town centre and station. £4.50 a pint now. And still plenty of twenty-somethings, and those old enough to know better, paying drink by drink with their debit cards. But the atmosphere in there is always good, the beer always well kept, the wine list has some novel twists, and, whilst it isn't my local, I'll walk the extra distance to visit the Jack Blug for sometime to come. An atypical gastro pub.Very food orientated and very expensive both for food and beer.Staff were friendly and efficient but this didn't seem to stop the manager coming down and quietly giving out to two of them while I was there.Get the impression he is a 'James Blunt' to work for.If you want a proper pub in Horsham go to the Stout House. 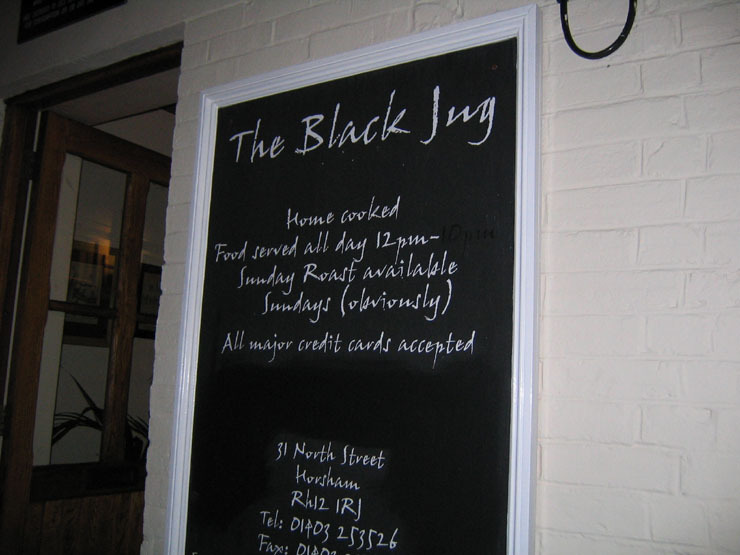 The Black Jug has tried hard to provide what the "middle classes" want from a pub these days and it seems to have succeeded. 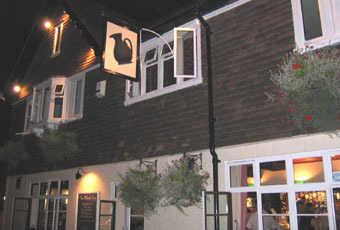 It is warm and cosy, good range of well kept ales, wines and whiskies. The furniture is hotchpotch of various old chairs and tables as is the vogue. The staff are friendly and efficient. The food was OK. Again they are trying hard but, judging by our one experience, it is not quite right. It was nicely busy Friday lunchtime and evening. Best pub in Horsham by some distance! However, children are ruining the atmosphere. Could be a great pub again if they would stick to the hours that kids are allowed. It is rarely enforced, changes daily and the management are too weak to deal with the problem, so the problem goes on.